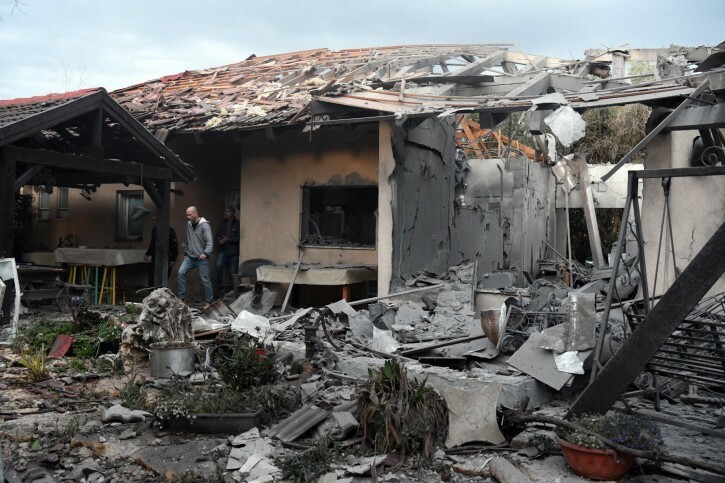 Kfar Saba, Israel - Luck and miracles saved the seven members of the Wolf family from certain death, when a rocket destroyed their home in Moshav Mishmeret just before 6 a.m.
His mother, who was moderately injured, was between the kitchen and the safe room. 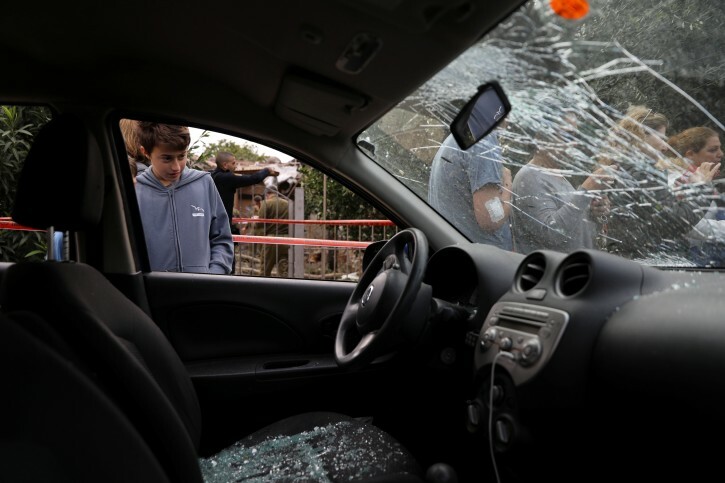 She is undergoing treatment at Beilinson Hospital in Petah Tikvah. 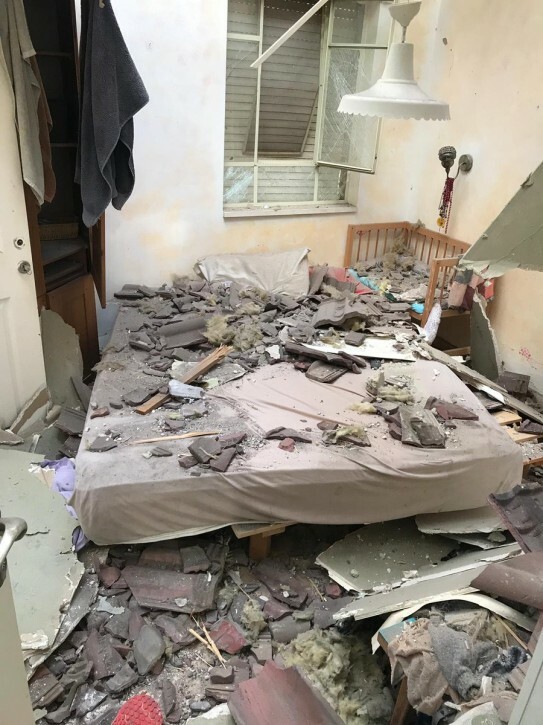 Across the street, Ron Gitter and his wife, Racheli, were woken by the siren as they slept in their bedroom on the first floor of their home/ They didn’t make more than a few steps, before they heard a loud explosion and the windows exploded. “I thought It had fallen in the yard,” Gitter said. Their son had not stirred from the noise. “He is a heavy sleeper, a tank could roll over him and he wouldn’t notice,” Ron said, almost with a laugh - but not really. They roused him, then raced one short fight into the basement where their daughter Emy, 13, slept and entered their safe room. Although the missile had already fallen, they feared that there would be a second one. They waited 10 minutes before venturing out to the smell of gas and smoke. One of the shards from the missile had cut the gas line. But along with the many miracles that morning, it was not followed by an explosion. To put on a face of normality for the children, they sent them to school, just as if it was any other morning. But they stayed home to clean up the damage, and in the process, also opened their home and their yard to reporters. We gave them Gaza and they destroyed it. Now it's Israel's turn to help them.